Tim Serritella is a seasoned business professional with more than two decades of success providing financial and management solutions to business owners and senior management. His past experiences in banking and finance include working as loan workout officer, working in business development for a Midwest commercial lender, and working in turnaround for a multi-million dollar logistical services company. He has formed and successfully operated a variety of entrepreneurial ventures including an independent commercial loan brokerage business. Tim entered the industrial marketplace in 2012 where he focused on sourcing asset disposition and bridge loan opportunities. 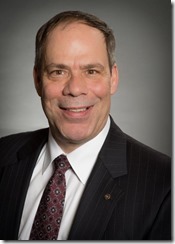 He is very active in the regional and national chapters of the Turnaround Management Association, the Commercial Finance Association, the Association for Corporate Growth, the Midwest Business Brokers and Intermediaries and in Rotary International.